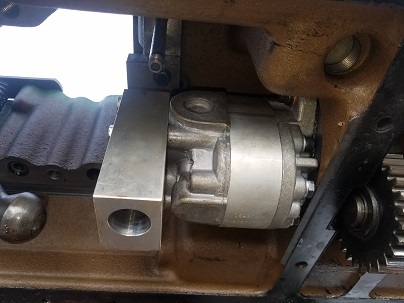 Customers hydraulic pump just wasn't putting out the pressure it should. 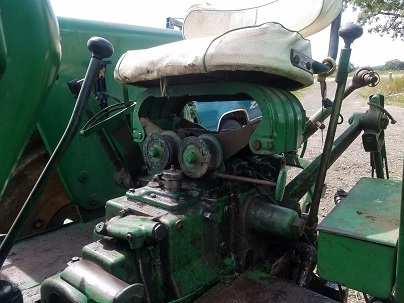 Also, he was leaking all of his hydraulic oil into the rear end of the tractor. 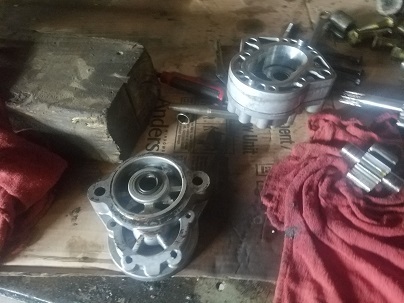 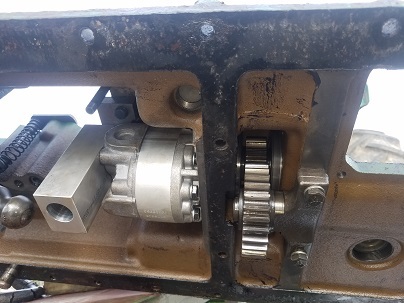 Turned out the hydraulic pump shaft seal had blown because the bushings had went out of the pump. 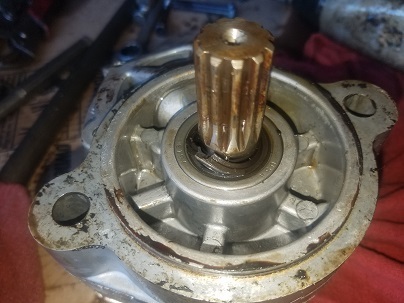 This is quite common with the gear pumps. 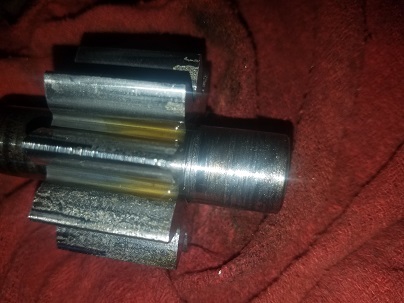 A lot of folks try and replace just the seal and rebush and reseal them but they never last. 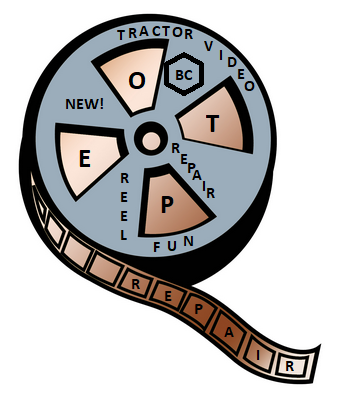 Owosso Tractor Parts offers a newer style pump that comes with the suction manifold. 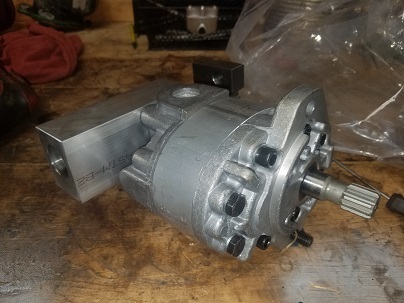 The complete unit replaces your old style pump. 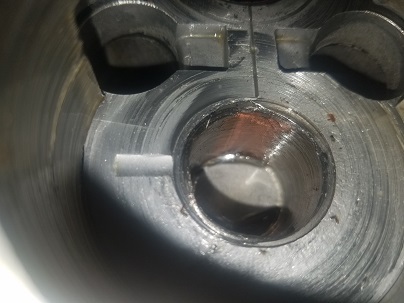 Make sure you count the splines on the shaft, the diamter of the shaft and make sure there is NOT a relief valve in the old cast iron manifold on the back of the pump. 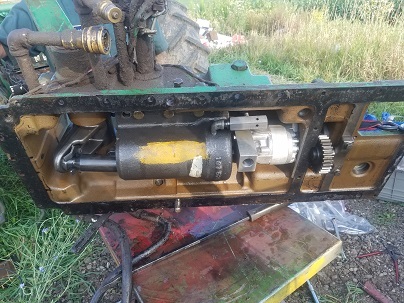 These new pumps are a great fit for even the early serial number tractors. 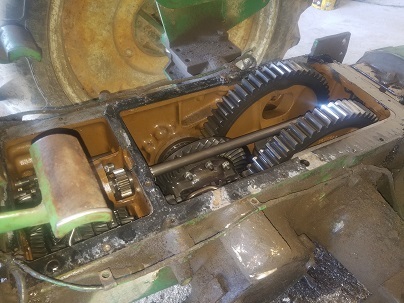 So give us a call, we can replace your pump or for the do-it-yourselfer, we sell all the parts you need to install the new pump. 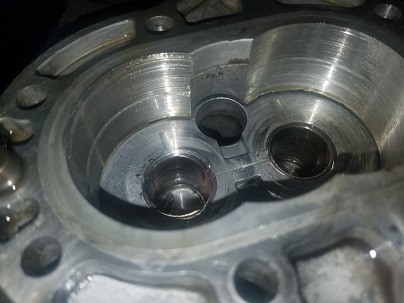 Including the rockshaft gaskets and "O" rings.